The HTC Harmony is rumoured to sport a 4.7 inch display. This will be a full 1080p High Definition LCD display unit, which will – if the rumours are right – position the HTC at the very front of the mid-tier market in terms of display. Comparatively, the iPhone 5C will sport a 4-inch retina display, which utilises Apple’s own HD technology. Expect the clarity to be similar, but the HTC Harmony wins on the combination of size and clarity. The HTC Harmony is set to be a Windows phone 8 device, and is rumoured to sport 2GB of RAM and 32GB of storage as standard. This again compares favourably to the iPhone 5C, which comes in two storage sizes. The top model comes in at 32GB but costs a whopping £549 in the UK, which is sure to be more than this HTC offering. The 5C is powered by the same A6 chip as the iPhone 5, and you’re getting a lot of the core spec which was the Apple flagship throughout the majority of 2013. The HTC will most likely feature the powerful Snapdragon 600 CPU, which will mark it out as one of the faster and more capable mid-tier offerings. According to Neowin, the HTC is most likely to sport a 4MP UltraPixel camera. The iPhone 5C on the other hand has an 8MP camera, which followed the Apple theme of upgrading their cameras on their latest round of releases this week. Its easy to get blinded by pure pixel numbers though, as there are other factors at play when it comes to the actual clarity of the picture delivered by a camera. The HTC UltraPixel technology is robust, and illicits much better value from lower absolute pixels. Therefore this may not be as cut and dry as is suggested by the 4mp vs 8mp bare stats. The iPhone 5C is a more colourful incarnation of the iPhone 5. Its available in 5 different colours, and Apple have also produced six different official cases which combine to in different variations to make the 5C a much more standout phone than previous iPhone’s. 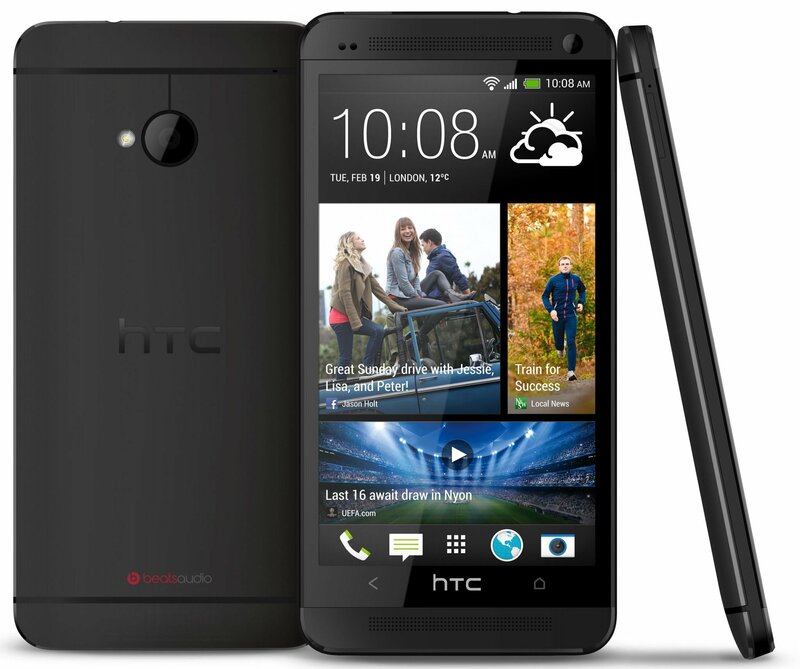 The HTC Harmony on the other hand is set to be modelled on the popular HTC One design, pictured below. Both devices are expected to be plastic shelled, and both will come in a range of colours. Presuming the HTC Harmony launches inline with the rumours, then it can be expected to be a highly competitive Windows 8 device. Alongside a number of the more exciting new Nokia offerings, this phone could really cause the likes of Apple and Samsung some serious headaches. Time will tell whether Apple have priced themselves out of the game somewhat with their 5C, with many analysts fearing that the 5C will become something of a forgotten device – too expensive for the mid-tier and naturally in the shade of its bigger brother in the top-tier. If thats the case, then HTC and Nokia may have little to worry about from Apple after all. Next articleSony have a solution to make 4K commercially viable for broadcasters, so should I buy a 4K ultra-HD TV?